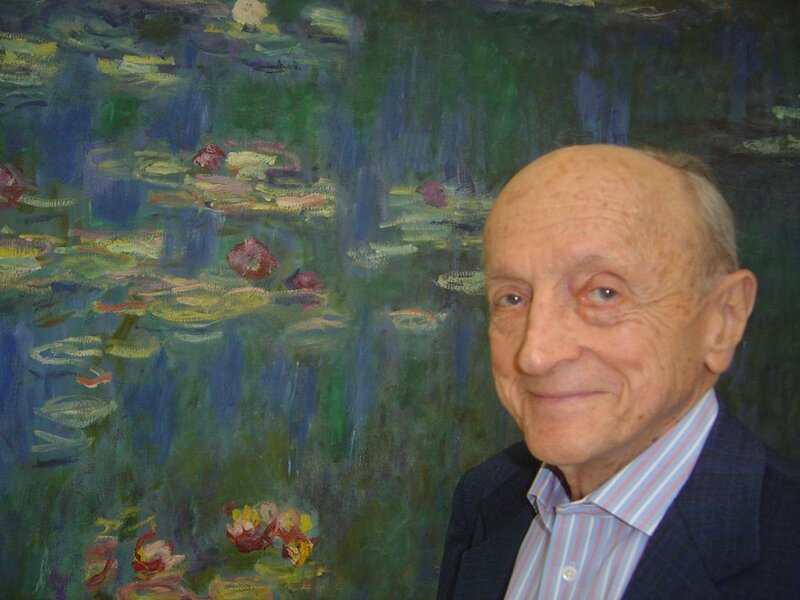 Architect Alan Schwartzman has passed away at age 95 on March 9, 2018. Long a figure in Franco-American architectural circles, he was a founding member of AIA Europe. We first met at a luncheon in 1992 with the three other AIA members we had been able to identify in the Paris region. At the time, he was a partner with Davis Brody Bond Architects in New York City, dividing his time between Paris and Manhattan. Alan was immediately enthusiastic and helpful when I announced plans to form an AIA Chapter in Europe. He became the Chapter’s second president, serving ably in 1996 and 1997. With his wife, Ruth, who died last year, he remained a Chapter stalwart, attending Chapter meetings and events for decades. He was a man of constant and generous counsel. He was also a stickler (a word he would have liked) for detail. Alan wrote the first set of bylaws for AIA Europe in mid-1993 and adjusted them for years thereafter. He also became the Chapter parliamentarian, as one of only a handful familiar with Roberts Rules of Order. He knew the rules, and seemed to like them. In the biographical statement Alan filed with the AIA archives, in his characteristically precise handwriting, he noted that he earned a B.Eng. degree from Johns Hopkins in 1943, attended college again in 1950, and earned an M.Arch. from Pratt Institute in 1975. He also noted his birthplace as Baltimore, Maryland, to parents Isadore and Ida. He once told Françoise and me that his family ran a hardware store in the city. Alan was very good to me, freely offering advice and judgment. He was proud of his connections with the AIA. Nominated by AIA New York (his Chapter at the time), he became a Fellow of the AIA in 1976, the year of the US Bicentennial, when the AIA held its convention in Philadelphia. He served as my sponsor for Fellowship. When Alan became a member of the AIA College of Fellows 42 years ago, he earned this citation: “Through his imaginative and creative involvement in design, the practice aspects of architecture, education, and service to the profession, Alan Schwartzman has become the very personification of the complete architect.” That is also a fitting epitaph for a man who will be remembered fondly by all who knew him.